MainAll NewsMiddle EastWhat was Gabbay doing in Abu Dhabi? Labor party chairman reportedly secretly visited Abu Dhabi last month and met with senior UAE officials. Labor party chairman Avi Gabbay secretly visited Abu Dhabi in early December 2018 and met with senior government officials in the United Arab Emirates, Channel 10 News reported on Monday. According to the report, Gabbay arrived in Abu Dhabi on December 2 on a commercial flight via Amman and was accompanied by former journalist Henrique Cymerman, who is running in the primaries for the Labor party's Knesset list. Gabbay and Cymerman’s visit to Abu Dhabi was organized through a third party that is close to senior UAE officials. Gabbay reportedly met with three senior officials in the UAE government. The topics discussed by Gabbay in his talks in Abu Dhabi included the Israeli-Palestinian Arab conflict, US President Donald Trump's peace plan, and the Arab peace initiative. Other issues discussed in Abu Dhabi were the Iranian threat and the political situation in Israel. During his stay in Abu Dhabi, Gabbay was provided with security by the local security services. 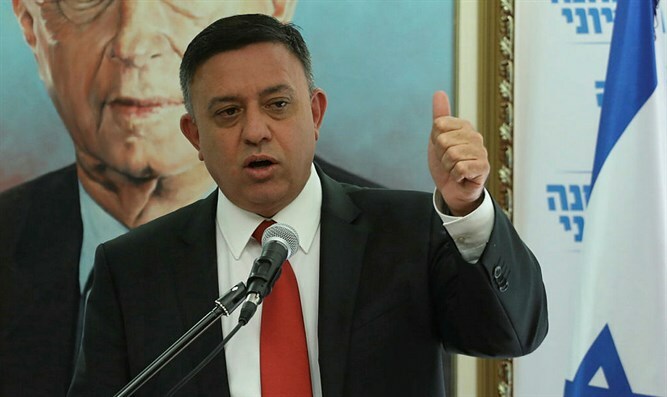 Gabbay returned to Israel on December 4 and immediately afterwards briefed Mossad Director Yossi Cohen on his talks with senior officials in the United Arab Emirates. It was also reported that Gabbay’s secret trip to the UAE was part of a series of political meetings he held in the past year with senior figures in the Arab world, only some of which have been made public. The Labor chairman's office said in response, "We will not respond to the report. Gabbay is very much engaged in the diplomatic issue and has a detailed plan for renewing the negotiations on the basis of a series of confidence-building measures, both with the Palestinians and with other Arab countries."